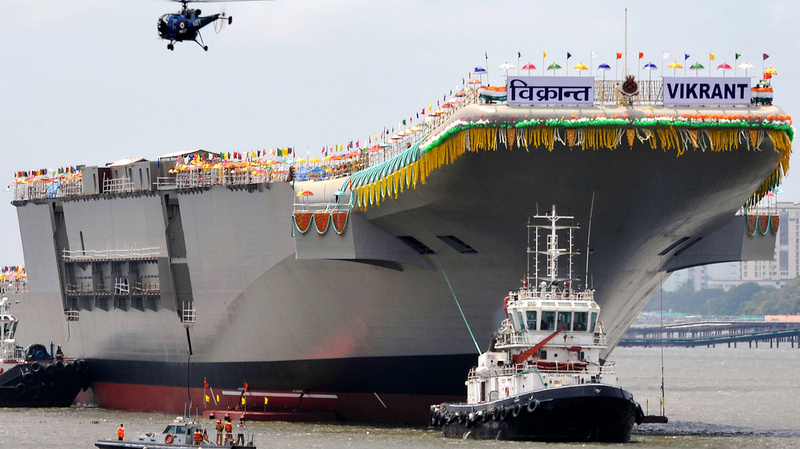 India Unveils Locally Built Aircraft Carrier : Parallels The INS Vikrant cost $5 billion and was beset by delays, but the vessel gives India an ego boost over its more powerful neighbor China. With Monday's announcement, India joins a select group of countries that have built their own aircraft carriers. India unveiled its first locally built aicraft carrier, the INS Vikrant, on Monday. Tugboats guide the INS Vikrant as it leaves the Cochin Shipyard after a launch ceremony in Kochi, India, on Monday. When it comes into full service in 2018, India will become the fifth nation to have designed and built its own aircraft carrier. 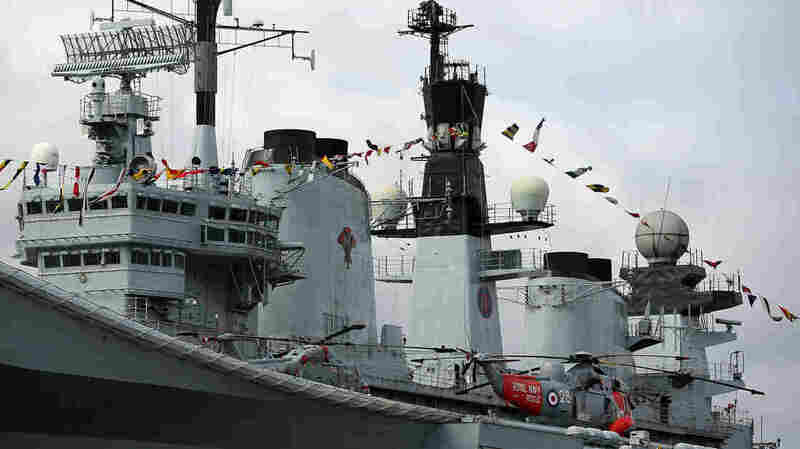 A Sea King helicopter rests on the flight deck of the HMS Illustrious in London. 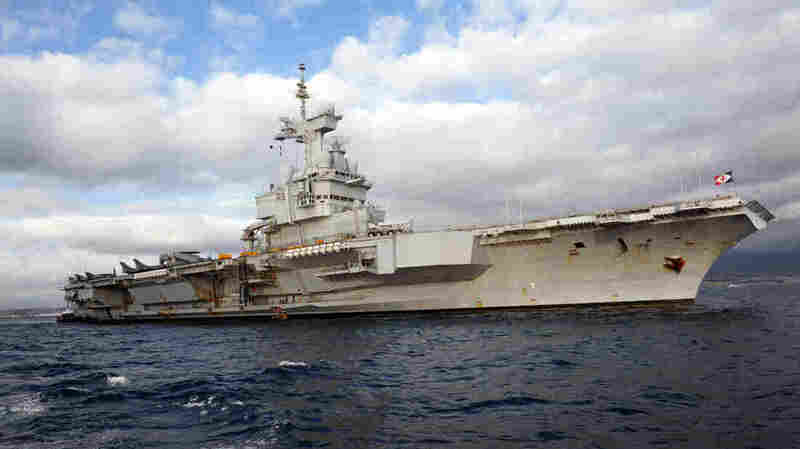 French nuclear aircraft carrier Charles De Gaulle floats near Naples, Italy, last year. 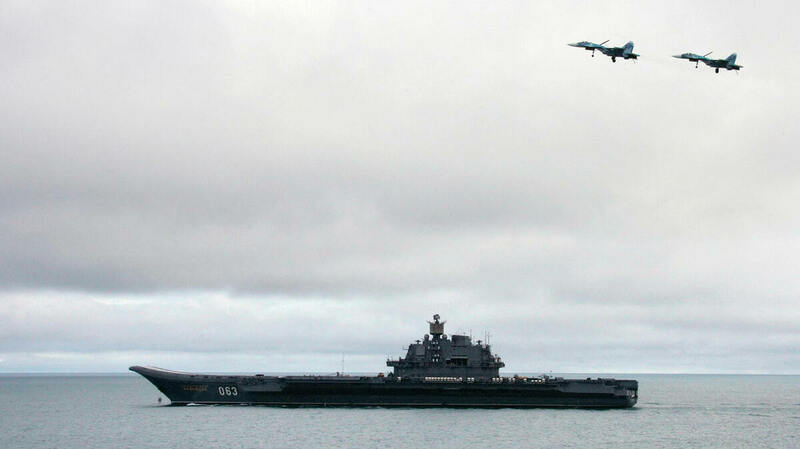 The Admiral Kuzhetsov during a military exercise in 2005. 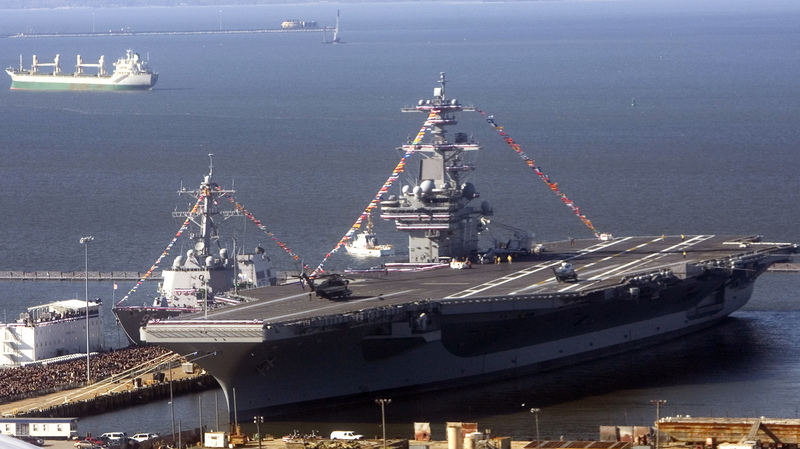 An aerial view of the USS George H.W. Bush in Norfolk, Va., in 2009. India's unveiling of the INS Vikrant comes a day after the South Asian nation activated the reactor aboard the INS Arihant, believed to be, as Scott wrote on our Two-Way blog, the first nuclear-powered ballistic missile submarine designed and built outside the Cold War "nuclear club." The developments give India a much-needed ego boost in its rivalry with neighbor China, whose military capabilities dwarf India's. China defeated India in a brief but bitter border war in 1962. The Liaoning cruises back to port Oct. 30, 2012, after its first sea trial in Dalian, China. 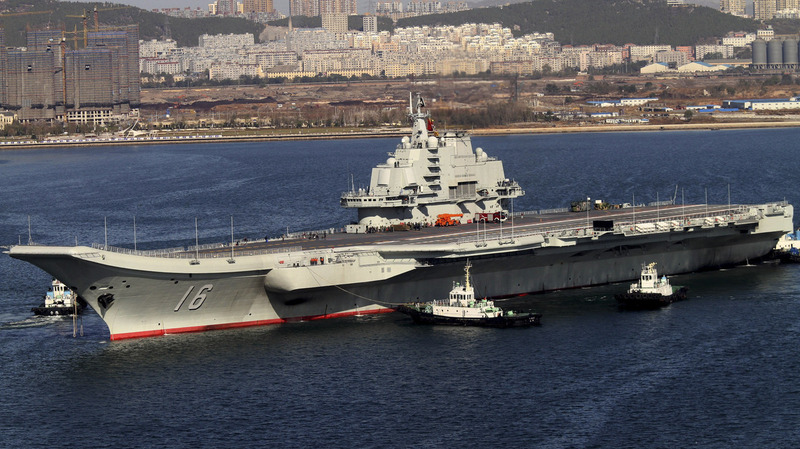 But China is believed to be working on its own locally built aircraft carrier. It's unclear when that carrier will join the Liaoning.